Our Team is growing stronger! She studied Law at the Universtity of Sheffield and continued her postgraduate studies at the University of Bristol. She practives Law but is also manages a Fashion Boutique. Her Hobbies, Interests & Passions include Music (she plays the guitar and the piano), gym and swimming, and of course fashion! Our Team is getting stronger! 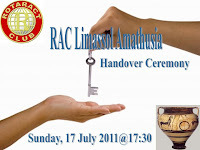 The official Handover Ceremony of the Club took place on the 17th July 2011. 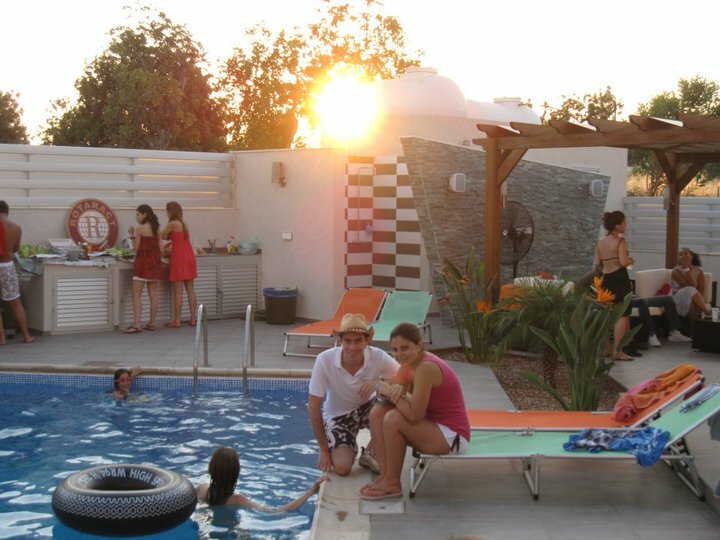 The event had a Summery theme and it was styled as a pool party. The members cooked their own barbeque and cakes. During the ceremony, the new Committee and the club's Directors were pinned. The Club traditionally celebrates its birthday during the handover ceremony. The celebrations continued well after dark! Committee, Directors and other Officers of the club and wish all members a Rotaractive year! 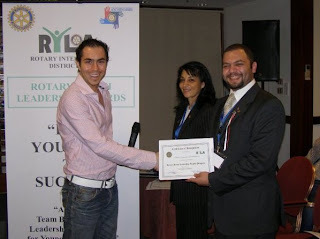 After deliberation with all the club members and in the absence of other candidates, the Club's leadership appointed Michael Constantinides to be the Club's President for the Rotarian Year 2011-2012. Michael has been with with the Club for three years and has served as the Club's Secretary for the previous year (2010-2011). His exposure with Rotary goes way back, both his parents being Rotarians. Michael studied Law (LL.B.) at the University of Bristol where he also continued his postgraduate Studies in Commercial Law (LL.M). 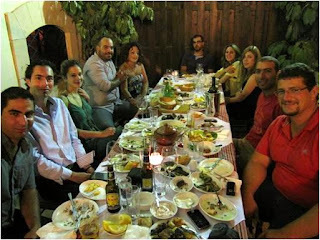 Michael is a Barrister-at-Law (England and Wales) and also a member of the Cyprus Bar. After his legal training, Michael chose to diversify his expertise by training to become a Chartered Accounant (ACA). 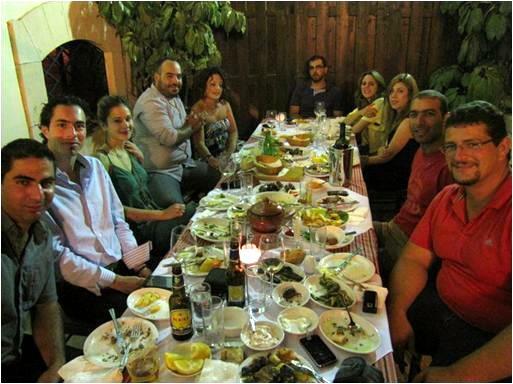 Having finished his training and being a full member of Institute of Certified Public Accountants of Cyprus (ΣΕΛΚ), he is now both a Lawyer and a Tax Adviser. He holds a managerial position in a leading International accountancy and consultancy firm. Michael's hobbies, interests and passions include: Swimming, Cycling, Skiing and Waterskiing, DIY, Gardening and Traveling! Michael speaks Greek, English, Italian and a bit of French. Our club currently comprises of around 20 members but we are constantly growing! Since Rotaract is a Rotary project, and operates within the ambit of Rotary International, we thought we give some basic info about Rotary. "Service Above Self", Rotary’s main objective is service — in the community, in the workplace, and throughout the world. New Generations Service recognizes the positive change implemented by youth and young adults through leadership development activities as RYLA, Rotaract and Interact. For more, visit Rotary International official page or the relevant wikipedia article. Rotaract originally began as a Rotary International youth programme in 1968 and has now grown into a major Rotary-sponsored organisation of over 8,700 clubs spread around the world and 200,000 + members. It is a service, leadership and community service organisation for young professionals. 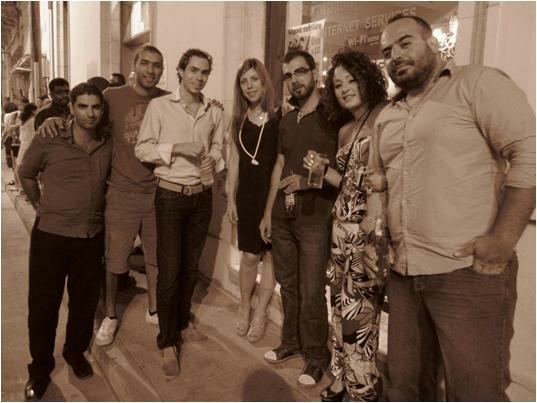 Rotaract focuses on the development of young adults as leaders in their communities and workplaces. Clubs around the world also take part in international service projects, in a global effort to bring peace and international understanding to the world. "Rotaract" stands for "Rotary in Action"
6. To provide opportunities for personal and group activities to serve the community and promote international understanding and goodwill toward all people. Welcome to Limassol Amathusia Rotaract Club's own blog! and all about our projects and activities!